SAN JUAN CAPISTRANO, California, June 19, 2012 (ENS) – Steam generator tubes that emitted radioactive steam at California’s San Onofre Nuclear Generating Station in January were not properly tested by the manufacturer before they were installed, nuclear regulators told a public meeting in San Juan Capistrano on Monday. Located in Orange County between Los Angeles and San Diego, the 2,150-megawatt nuclear power plant operated by Southern California Edison has been shut down since January 31 for inspections, analysis and testing. Unit 2 was taken out of service January 9 for a planned outage. Unit 3 was taken off line January 31 after station operators found a leak in a steam generator tube. At Unit 3, an unprecedented eight of the 129 steam generator tubes tested by the Nuclear Regulatory Commission since the leak was detected failed pressure testing, said Elmo Collins, regional administrator for the Region IV office of the NRC. Collins said Mitsubishi Heavy Industries, which supplied the tubing, underestimated the speed of water and steam moving through the equipment by a factor of at least three. In addition, Edison altered the way tubes were assembled at its Unit 3 reactor, NRC officials said. The tubes were a not held together tightly enough inside the reactor. As a result they rubbed together, which caused them to erode at an unexpected rate. Inspectors found much more wear on Unit 3 tubing compared with tubes in the Unit 2 reactor, which had the original assembly design, the regulators said. The integrity of steam generator tubes is important because the tubes provide an additional barrier inside the containment building to prevent a radioactive steam release, NRC officials explained. Edison International Chairman and CEO Ted Craver and NRC officials have said that safety, not timelines, will determine when the San Onofre Nuclear Generating Station restarts. Due to safety inspections and testing that Southern California Edison is performing, the company expects to deliver a plan to the NRC by the end of July regarding the operation of San Onofre Unit 2, Craver said in a statement on June 8. 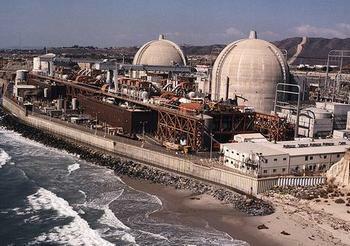 The NRC, which must approve the San Onofre restart, will then need time to respond. As a result, Southern California Edison estimates that San Onofre likely will remain off line through August. A plan for Unit 3 is expected to take longer to develop, Craver said. Shutdown costs could hit more than $100 million, company officials say. SCE projects that repairs and tests could cost as much as $65 million, and $30 million was spent on replacement power just through March 31. Some 7.4 million Californians live within 50 miles of San Onofre, which can power 1.4 million homes. State officials have warned about possible rolling blackouts in Southern California as hot weather over the summer increases the demand for power while the San Onofre reactors are shut down. In May, the California Public Utilities Commission approved a SCE demand-response program, nicknamed “10 For 10,” which would give large commercial and industrial customers in southern Orange County a 10 percent reduction on their bills if they reduce their electricity use by 10 percent in July, August and September from the same period of 2011. The program covers some 91,000 customers. Monday’s public meeting was the first in a series of meetings the NRC will hold in the area to keep the public informed on the progress of the agency’s inspection and oversight activities at San Onofre. Collins said, “We know there is a great deal of interest in how the NRC is ensuring safety at San Onofre.” The NRC team will issue a written report within the next 30 days that will be publicly available on the NRC website: www.nrc.gov.